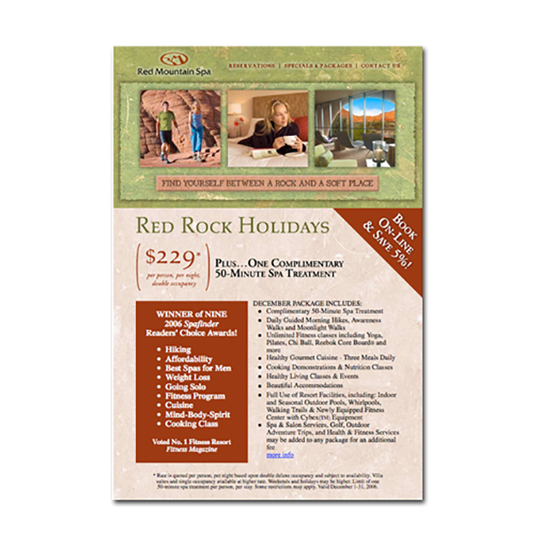 Create new Spa Branding and develop a campaign repositioning the rustic yet luxurious image of Red Mountain Spa, located in southern Utah among some of the most beautiful outdoor scenery in the western United States. 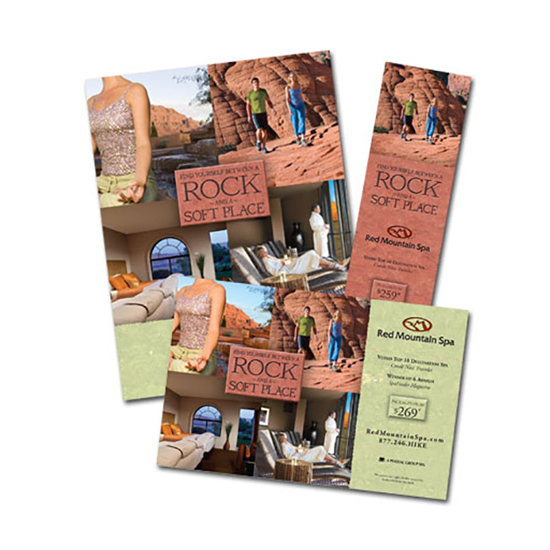 It was determined that the new spa branding would incorporate a more “rustic zen-like luxurious” feel to appeal to the “spa-goer” seeking a relaxing resort vacation complete with luxury amenities, as well as the “adventure spa-goer” seeking the active recreation of this type of spa. 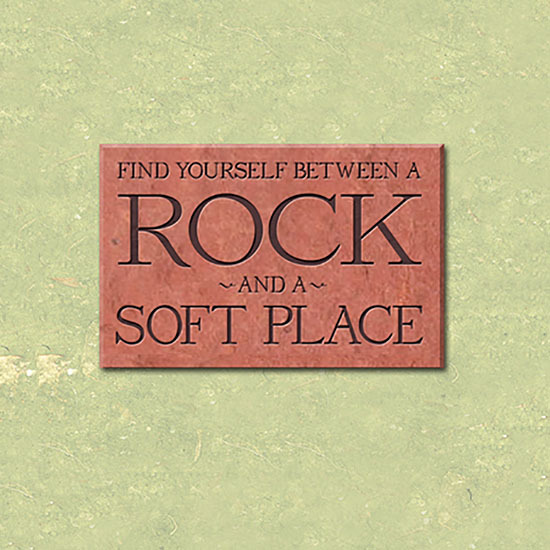 We developed the spa brand positioning which was also utilized as the tagline: “Between a Rock and Soft Place.” This set the tone for the execution of the campaign, which consisted of Print Ads, Brochures, Direct Mail, E-Mail campaign, as well as name development and identity for its newly designed Sagestone Spa. The Resort has attracted more upscale customers from all over the country seeking a luxurious and adventurous escape from their busy lifestyle. An aggressively intelligent media buy included placement of print ads in magazines such as Spa Finder, Town & Country Traveler, Conde Nast Traveler, NY Times Travel Showcase, Travel & Leisure and other national publications. 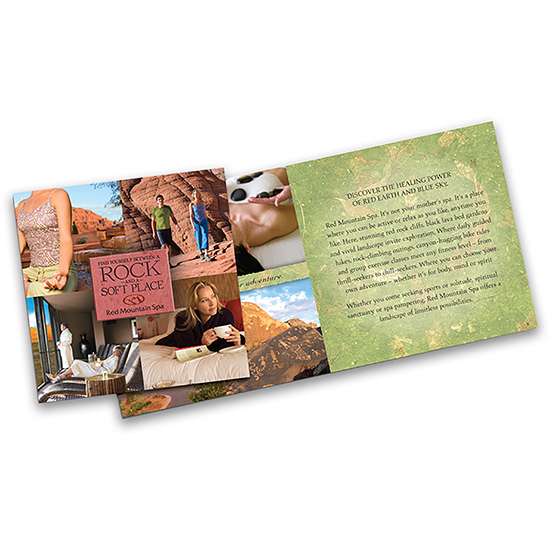 This was complimented with Direct Mail offerings and continuous E-Mail campaigns.